The early days of the Indian Law Society’s Law College date back as far as the year 1902, when Mr. J.R. Gharpure and Mr. P.B. Singhe decided to make a new beginning in the direction of a regularized system of imparting legal education. ‘The New Law Class, Bombay’ was therefore started in 1903. After running this class for five years, it was thought desirable to start a regular law college, which would be affiliated to a university. Accordingly, the Fergusson College Law Class was started in 1908, and was conducted by Mr. Gharpure. More than 125 students were registered on roll. However within a few weeks, this institution was disaffiliated from the University of Bombay. After a period of more than fifteen years the above experiment was still under trial. The scope for improvement was recognised and on 4th March, 1923, a new society called the ‘Indian Law Society’ was inaugurated, whose first President was Dr. Sir Narayan Rao C. Chandawarkar. It was proposed at this meeting that a private law college be set up in Pune. After preliminary preparations, the Law college formally commenced operation on the 20th of June 1924, under the banner of the Indian Law Society. It was then known as the ‘Poona Law College’. The Society acquired 154 acres of land and the first building called the Saraswati Building was built in 1935. The foundation stone was laid down at the hands of the Late Honourable Srinivas Shastri on 7th January 1935. The Saraswati building wa s though tfully architectured to look like a sage meditating in the ‘lotus’ position. Subsequently the hostel for resident students, a Gymkhana and a pavilion were also built. The construction of a swimming pool further enriched the facilities. The Laxmi building was later added to meet the growing needs of the College. All this was done under the auspices of the first principal of the college, Nana Saheb Gharpure – a man of great vision & foresight. I joined the Law College of Indian Law Society (commonly known as ILS Law College) as a student of First Year LL. B in the year 1969 with a dream. The dream was to excel as a law student and to be a successful lawyer. I achieved the dream and much more. I was privileged to be associated with Indian Law Society as a student of its college and then its Vice President and now the President. I want each of the students to join this College with a dream. A dream bigger than mine. The excellent faculty of this College would not only impart you academic knowledge but would also help you in developing insight in law and excel in every field of life. 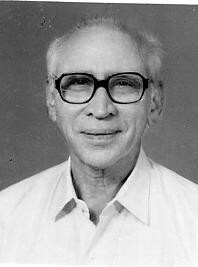 Late Shri Y.V. Chandrachud, Former Chief Justice of India, was a student of this College and later became the President of Indian Law Society. In the President’s message for the students of this College, he wrote “To have studied Law at ILS College is significant land mark in my life”. These words, perfectly reflects my sentiments too. Life is a better experience with a touch of legality. Since you’ve decided to pursue a career in legal studies, I welcome you to the fraternity of people for whom life is law. What should be the essential requirements for a person to be a good lawyer-discipline to follow the law, restraint and courage to speak the truth. Compounded with this, a lawyer must also realize his commitment to the society – justice, equity and good conscience must rule his philosophy of law. Only a good legal education, one that allows you to understand the framing of laws and also their correct implementation can promote such qualities. ILS Law College provides you with all this and more. ILS has always been instrumental in producing lawyers par excellence and has been at the forefront of education, research and innovations in the field of law. It is due to the pure dedication and sincerity of its flag bearers, that ILS is, where it is today. I consider myself fortunate to have been a student and the Principal of this college – a part of its 80 year old glorious tradition. 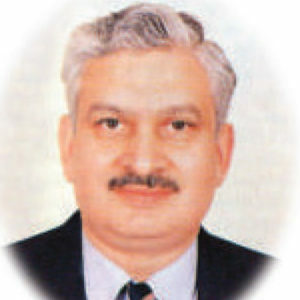 I wish ILS and its students all success in their onward march.